All across Canada, the United States, and throughout much of the world, families and friends will soon gather to celebrate and mark another holiday season. 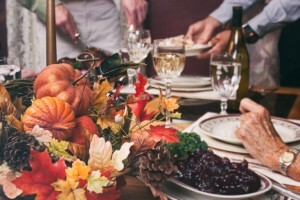 In between catching up with one another, opening presents, and taking long and treasured walks down memory lane, the activity that’s bound to receive the most preparation and attention is definitely holiday eating. While every get-together will have its own spin on the classics, whether you’re indulging in latkes or Christmas cookies, one solid standby that will appear on almost every holiday table is roast turkey. 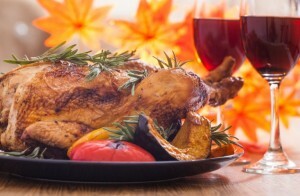 This year, let that bird shine, by pairing it with a perfectly chosen glass of Niagara Peninsula wine. Regardless of how you feel about wine the rest of the year, if you’re planning to head up to Niagara around the holidays, take some time out to shop for a handful of wines that will make your holiday turkey even tastier. From a subtle pinot noir to a lively riesling, here are some pairing suggestions you can only find in the Niagara Peninsula. Make the most of your trip to Niagara this holiday season. While you’re taking in the sights and sounds, be sure to stop in at some of the region’s award-winning wineries and grab a bottle of wine or two to enjoy with loved ones while you indulge in a turkey dinner.